What action is required now? Face to face training and demonstration sessions will be provided by the NBA and the Blood Service in preparation for BloodSTAR. There will be training sessions for prescribers, nurses and dispensers. For detail about training locations and registering for a session please contact NBA support at 13 000 BLOOD (13 000 25663) or support@blood.gov.au. BloodSTAR Demonstration will be 2 hour sessions open to all key stakeholders to give an overview of the system and discuss key business changes that will need to be addressed before the go live date. BloodSTAR Go Live Training will be multiple 1 hours sessions, with each session specifically open for one stakeholder group; prescribers, nurses or dispensers. These sessions will go through the system in depth and discuss the functionality available from go live date onwards. The Criteria for the clinical use of intravenous immunoglobulin in Australia (the Criteria), Second edition has undergone a logical adaptation for BloodSTAR. In order to maintain equity of access throughout the implementation period for all jurisdictions, the go-live system is based on an adaptation of the Criteria Version 2 and the current request forms. The adaptation has been required because there are certain fields in the system that could not be populated directly from Version 2 either because they were absent or ambiguous, or only referred to indirectly. For each of the qualifying values the prescriber is requested to enter supporting evidence items. While evidence items are not mandatory, the prescriber must provide sufficient information to support the assertion that the patient meets the qualifying criteria, when requesting authorisation for access to product. If insufficient information is provided, the authorisation request may not be approved. Revision of the Criteria to Version 3 is currently underway by the National Immunoglobulin Governance Committees, and will be introduced in BloodSTAR in 2017 after all jurisdictions have transitioned successfully to the system. Product cannot be dispensed for a lapsed authorisation – if a patient’s authorisation end date passes no product can be dispensed for that patient and they will no longer be available under the Authorised patients list in BloodNet for the dispenser to dispense product against. Once review outcomes have been entered against the patient and a continuing authorisation request has been submitted and approved by the Australian Red Cross Blood Service in BloodSTAR, then product can be dispensed for the patient. If product is dispensed to an unauthorised patient then funding of the product under the National Blood Arrangements is not guaranteed. NSW Prescribers and Nurses working in NSW Health facilities do not need to register at this time. If you are a treating medical specialist with patients who have authorisation to receive Ig beyond your State/Territory go live date, the Blood Service will be mailing information to you. 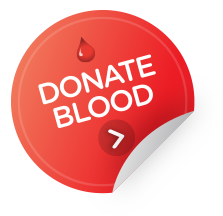 The Blood Service will be requesting confirmation of your patients’ details for entry into BloodSTAR and advising, for each patient, if the Blood Service has a copy of their consent on file or if a copy needs to be provided. To avoid unnecessary interruption to your patients’ Ig treatment, please take the time to carefully review the contents of this letter, complete the required information and return it to the Blood Service by the requested date. Registration for BloodSTAR and establishing facility administrators is required now! If you are a prescriber of IVIg or SCIg or a nurse who manages patients receiving IVIg or SCIg, you must register now for BloodSTAR. Details on how to register for BloodSTAR and other helpful tips are available at https://www.blood.gov.au/bloodstar-support-materials. Tip sheets on what BloodSTAR will mean to prescribers, nurses and dispensers. the treating facility is registered for BloodSTAR. Facility Administrators must keep up to date with user registrations before BloodSTAR go live. This is particularly important for treating clinicians with currently authorised patients. The Blood Service cannot enter patients into BloodSTAR prior to go live unless the clinician has registered for BloodSTAR AND they have been approved by the relevant facility administrator. For more information on how to approve or reject user requests, please refer to either the tip sheet or video available at https://www.blood.gov.au/bloodstar-support-materials. Thank you to all those facilities who have registered and nominated there facility administer. In order to support user registration, the NBA has entered into BloodSTAR the details of those facilities that have received Ig product in the last 12 months but have NOT yet self‐registered. It is important to note, however, that until each of these facilities nominates at least one facility administrator, staff working within the facilities will not be able to be granted access to the system. The NBA will be following up with all facilities without facility administrators to ensure they register at least one facility administrator before their State/Territory go live. User registrations must be completed now so you are ready for your State/Territory go live. Be familiar with the changes relevant to you – read the documents and action the check list for your role. Documents available at http://www.blood.gov.au/bloodstar-support-materials. Sign up for this newsletter - create a BloodPortal account at https://portal.blood.gov.au and from the home page click on ‘My Subscriptions’ and ‘Subscribe’ to Immunoglobulin. Further information on BloodSTAR is available online at http://www.blood.gov.au/bloodstar or by contacting the NBA on 13 000 BLOOD (13 000 25663) or support@blood.gov.au.